The Human Rights Policy Studies Department permanently has a multidisciplinary and international team. 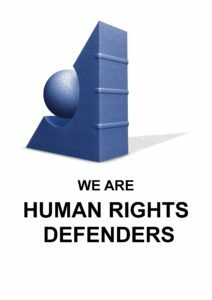 GHR recruits non-paid interns and welcome applications from students and graduates in international relations, international law, human rights, political science and economics, who are motivated in the promotion and protection of human rights and social justice. Preference is given to post-graduate students in law, human rights and international relations, to long-term interns (3-6 months) and to the candidates coming from universities and research centers, with whom GHR has signed contracts or Memorandum of Understandings. GHR ensures that its interns and fellows are trained during their stay with the organization. Interns and fellows participate in the Geneva Courses conducted during their internship with GHR. Each week, interns, fellows and other members of the HPS team receive a briefing from GHR trainers on the main features and developments of the human rights meetings they are monitoring. GHR will establish more partnerships with universities and research centres and recruit up to 15 interns each year. GHR considers internships as a training. The interns participate in the weekly study meetings and in the Geneva Courses. In addition, long-term interns are assigned specific study projects corresponding, where possible, to the theme of their forthcoming thesis, and coinciding with GHR thematic priorities. GHR also ensures the necessary follow-up to these long-term internships, by facilitating their placement in specialized institutes for their PhD and their search for jobs. In 2017 AND 2018, HPS monitored all the ordinary and special sessions of the HR-Council and its mechanisms, treaty bodies and the briefings organized by OHCHR. The Department drafted analytical summaries of the UN sessions and compilations for GHR Courses. HPS also issued documentation kits for the Geneva Courses. In 2015, HPS welcomed 28 interns and fellows.